School is a breeding ground for germs. The true is my kids get sick more while at school then over the Summer. Now the school my kids go to are big with hand sanitizer. The main thing they ask you to donate is hand sanitizer. I think this is great! So now what hand sanitizer works the best and the best value? Well I just heard about Prefense and I was intrigued. 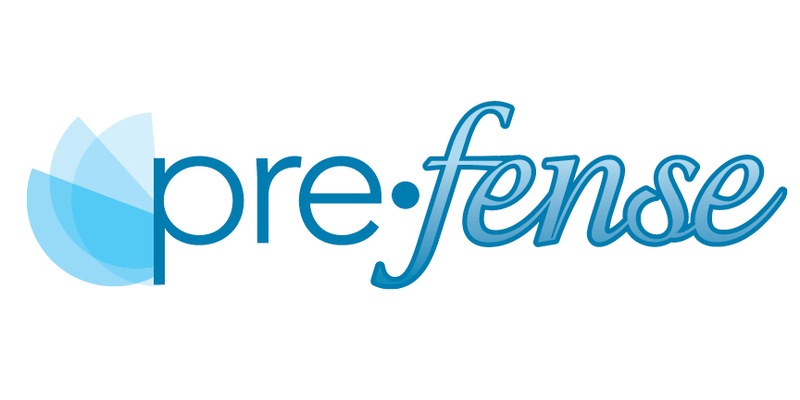 What is Prefense? Well it is a silica based foaming hand sanitizer that contains No alcohol! Prefense is made of natural ingredients and has absolutely NO alcohol in it! It also protects you for 24 hours or 10 hand washings! It is also non-toxic and safe for kids. 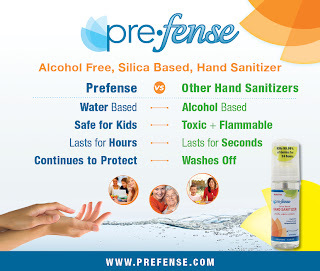 Also since it is silica based it doesn't dry out your hand like the alcohol based sanitizers. Prefense protects against staph, strep, E.coli, drug resistant MRSA strains, and more. We fight germs that other hand sanitizers can’t. Because “one spray lasts all day” our 1.5 oz Prefense Foaming Hand Sanitizer offers 120 applications, costing only $.08 per day, compared to $1.20 per day with alcohol hand sanitizers. These are all awesome things! We got a small sample size bottle to try out. We have loved it. Its not sticky or stinky like the other hand sanitizers. It goes on fast and dries fast too. I love that it protects you so long and last through 10 hand washes. That right there is awesome to me! This is perfect for back to school to keep in your kids back packs or give as teacher presents. Trust me this would be a hit for teachers! I am definitely gonna buy me some more! So head over to Prefense to get your bottle or you can get it on Amazon. 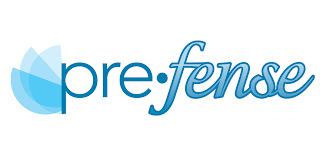 Follow Prefense on Facebook and Twitter to learn more and great specials as well! We are giving one lucky US reader a big 8 oz bottle of Prefense for back to school yay! 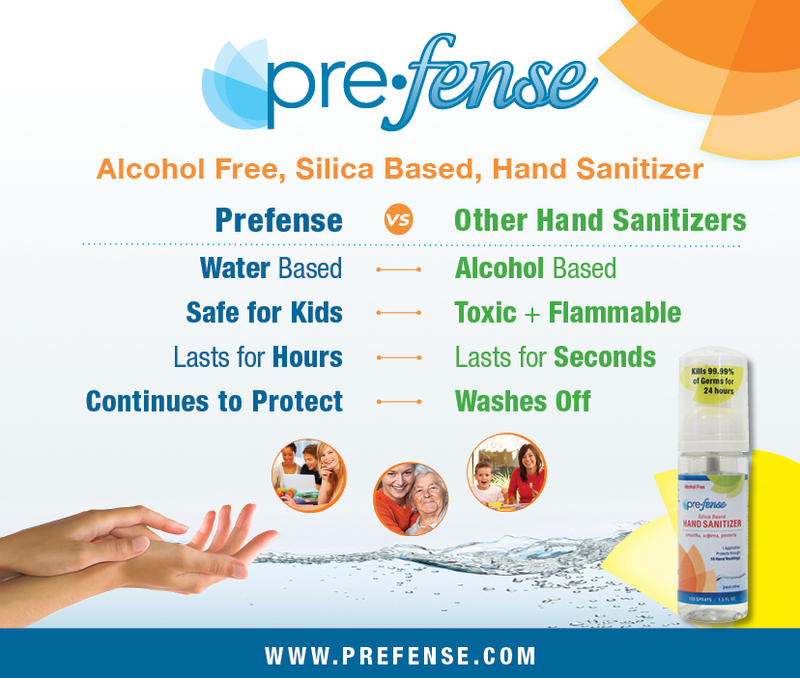 I would like prefense to keep handy for my 2 daughters so they can kill germs without the drying alcohol other hand snaitizers have. Thank you for the give4away! I entered the Discovery Girls giveaway. I entered Blue Bunny giveaway. I entered the Johnsonville giveaway. I entered the Rio giveaway. This would be nice for my kids to keep them germ-free, but it would also be a great gift to give my sister-in-law who works in a kindergarten class as she is always getting sick. I entered the Kidorable rain boots contest. I love that there is no alcohol in it! I like that it is silica based it doesn't dry out your hands. My Hannah can not use the alcohol based hand sanitizers because it dry her hands out sooo sooo bad. I like it because it doesn't have a strong smell and does not dry hands. Prefense would be perfect to tuck into the car to use, especially since school is starting soon as well.